(402) Developers is a monthly engineering meetup organized by the engineers of CardFlight, a financial services startup that has experienced 2917% revenue growth in the last three years. Anderson Reinkordt, Software Engineer at CardFlight, shared his story of how his hobby and passion for developing led to a full-time career. 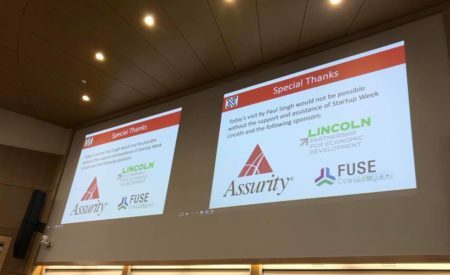 Lincoln Startup Weekend was a 54-hour event where attendees pitched ideas, formed teams and started companies. This community focused event provided a place for budding entrepreneurs to find co-founders, mentors and momentum for their ideas. This year, the winning team was Chrisman Cutter – a product to help cut down small trees on farms. 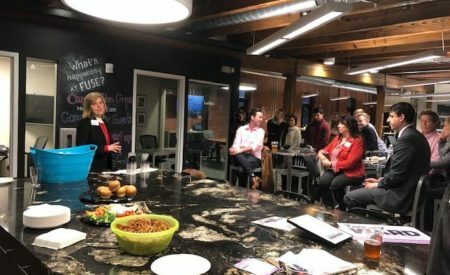 Lincoln startups and young professionals joined forces to create a friend-raising/fundraising event for Tammy Ward, who is running for City Council. 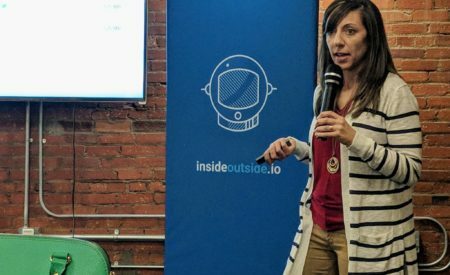 Tammy is a long-time advocate for the Lincoln startup community. FUSE and Intersect partnered to celebrate the holidays with an ugly sweater and treat making contest. We took time to pause and appreciate all the hard work and accomplishments of our community. 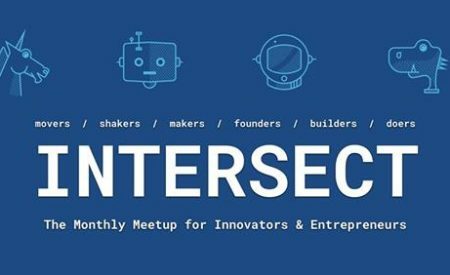 FUSE and Intersect welcomed Ali Schwanke and Jeffrey Koterba to this month’s meetup. They presented on marketing tools and gave creativity lessons! Pizza and beer were provided and attendees gained new insight on the topics discussed. 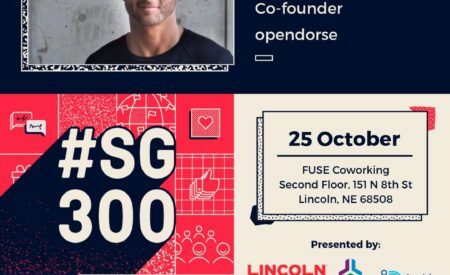 FUSE held its first Fireside Chat hosted by Adi Kunalic during the 2018 Lincoln Startup Week. Adi Kunalic works to help people and organizations build a trusted online brand through social media and online marketing. Kunalic is the founder of two Nebraska startups, Hurrdat and Opendorse. Powered by FUSE and Assurity, Basecamp served as a key piece of Startup Week. FUSE hosted several information sessions on startup culture, as well as a startup pitch competition. 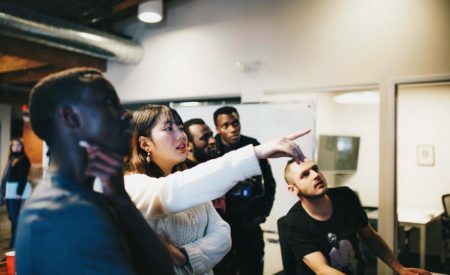 Throughout this four day event, participants were able to gain knowledge and advice from others in the startup community. FUSE also offered free coworking on the 5th floor along with coffee and refreshments! 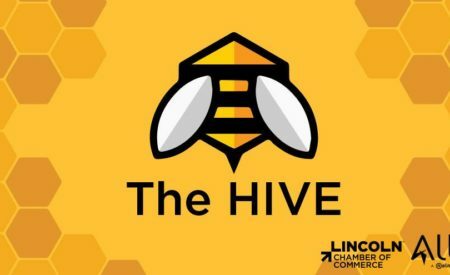 The Hive is a small business coffee meetup. 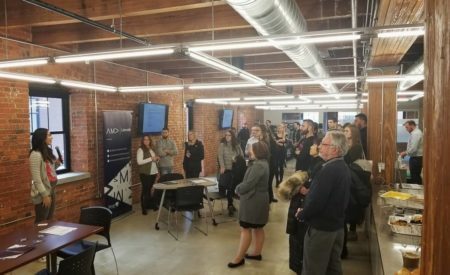 The event was hosted by the Lincoln Chamber of Commerce, FUSE, and Allo.